Feel the warmth of the sun with these Special Edition Seasonal Skinnies. 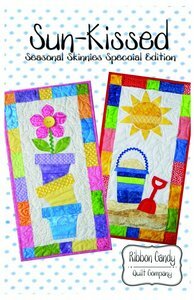 Formerly published in Quiltmaker magazine, they are now available to you. Each quilt finishes 14" x 28". Fusible web applique is used. All templates are full size and ready to go.